Kelp, sea spinach, wakame—seaweed is the hottest superfood of the moment. 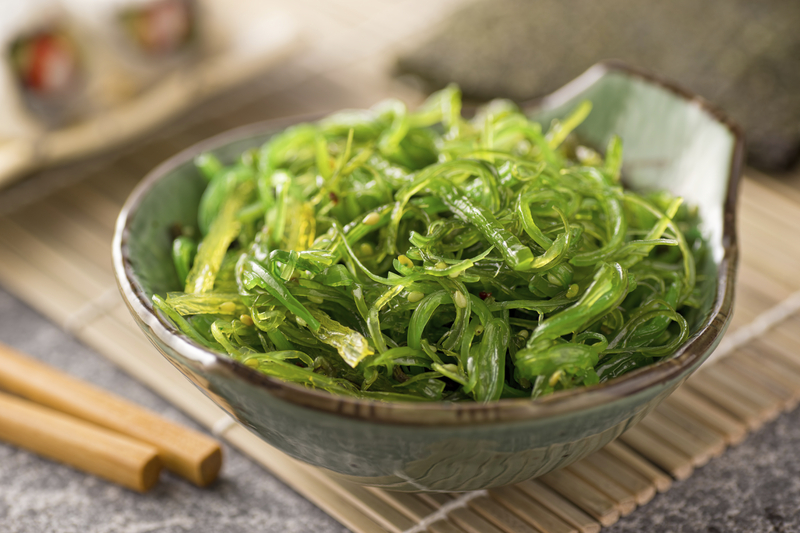 Chock-full of vitamins, loaded in protein and with a low fat content it’s impossible to count the ways in which seaweed is beneficial. It’s also tasty. Cooked right it can be an alternative to tuna fish, add a crunch to pork belly ramen or be a salad go-to. Five chefs from around the country shared their favorite ways to cook with seaweed. Try one or all, and find out how one former commercial fisherman is farming the superfood in our waters in the June issue of Long Island Pulse. 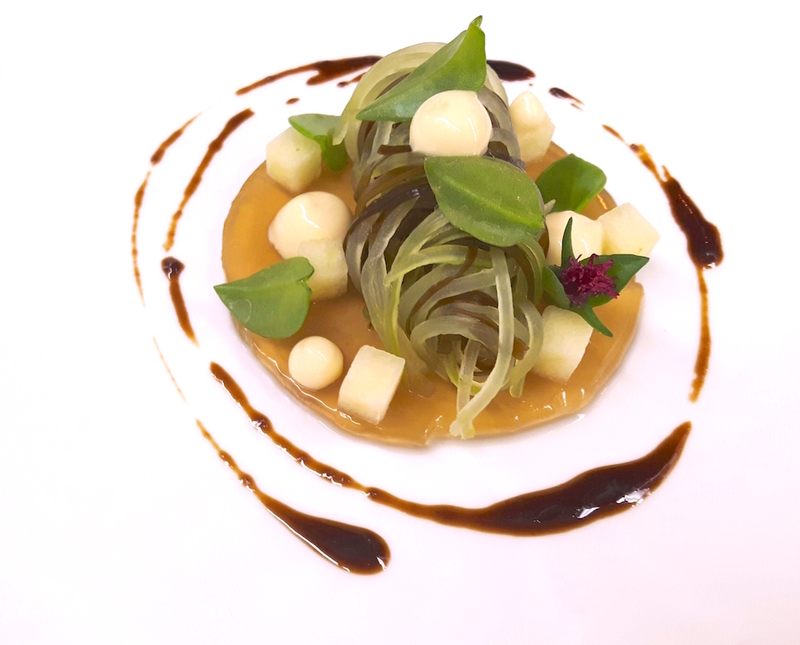 Chef Francis Wolf of Manoir Hovey, a Relais & Chateaux hotel on a lake in Quebec, has been using seaweed in recipes at the restaurant for years. Always seeking the perfect harmony of flavors and textures Wolf uses 10 different varieties of sea plants, including sea asparagus, sea parsley, sea rockets and sea spinach in his dishes that are inspired by the bounty of the region. This sea kelp salad makes a great side dish with seafood. Soak the kelp sheets in 1 1/2 cups of water for at least 30 minutes. Remove kelp and save the infused water. Preheat the oven to 325 degrees. In a medium size pot with a lid, put in the kelp, water and 2 cups of the apple juice. Braise in the oven for 3 hours until the kelp is tender. Remove the kelp from braising liquid and refrigerate. Save the braising liquid. In a large skillet over medium high heat, roast the onion, carrot and celery until brown. Deglaze the pan with the braising liquid. When the liquid is reduced by half, strain with a fine mesh. Discard the vegetables. In a small pot, reduce down the liquid to a syrup consistency. Keep cold. Bloom the gelatin: in a small pot, gently heat 1 cup of the kelp-infused water. Add salt if needed. Remove from heat and add the gelatin. Pour into a 10”x 12” flat tray, forming a thin kelp jelly. Refrigerate for 30 minutes. Using a 4-inch cookie cutter, cut into four rings. Make the sabayon: in a saucepan, heat the remaining 2 cups of apple juice until reduced by half. Add a pinch of salt and set aside at room temperature. Place water in the bottom of a double boiler, boil, then lower to a simmer. Whisk the egg yolks in the top part of the double boiler (away from heat) until light in color. Add apple juice and place into the double boiler. Whisk continuously for about 10-15 minutes. The sabayon should approximately double in size. Keep cooking until it is light and fluffy in color and thickened. Transfer to another bowl and refrigerate. Put in a squeeze bottle before serving. Using a mandoline or a sharp knife, do a julienne of the peeled cucumber. Roll up the kelp and thinly slice it. To plate the dish: mix the kelp with the cucumber, apple vinegar and add salt to taste. Put the mixture over a kelp jelly ring, add the diced apple, apple sabayon and some kelp liquid reduction. This vegan tuna from GirlieGirlArmy.com lets you go fish-free while still getting all your protein. Made with kelp, it’s an alternative for those not doing fish. Throw all ingredients into a food processor and pulse until crudely chopped or hand mash and chop all ingredients. 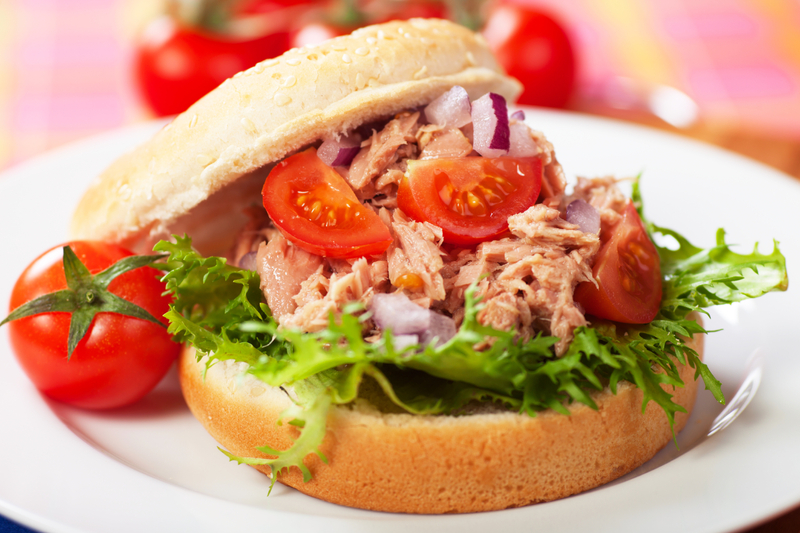 Use anywhere you’d use tuna, for sandwiches with all the fixings, tuna-melts or tuna salad. Have you taken a run on the beach and noticed the long thick strands of rope like seaweed with glossy leaves on it? This is kelp. 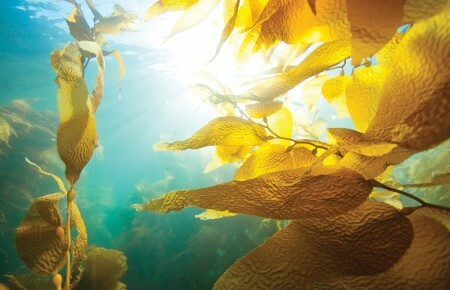 Kelp is a form of seaweed that provides nutrients to ocean life by growing in forest-like strands within shallow waters. Kelp is loaded with antioxidants, vitamins and minerals, which is just one of the reasons chef Kate Von loves to cook with it. 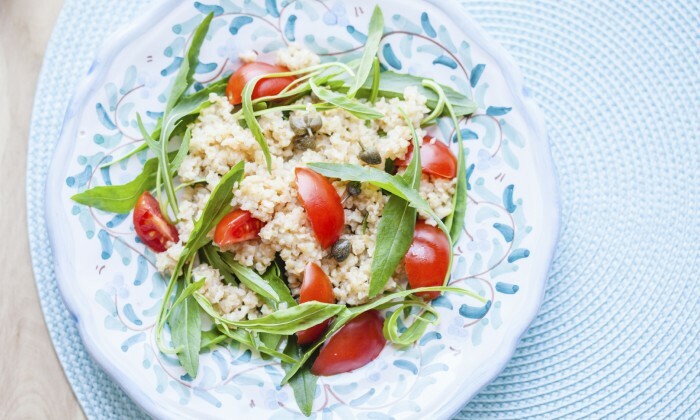 This delicious Detox Kelp Salad will keep you feeling fresh in the warmth of the spring season. Add all the dressing ingredients to a high-powered blender and blend until smooth. Set aside. Combine the chopped kelp noodles, carrots, bell pepper, red cabbage, mango, arugula and cilantro in a large bowl. Add the dressing and toss until combined. Serve with slices of avocado, chopped almonds and coconut on top. Bon Appétit! Insider Tip: Kelp noodles are found in the cold Thai section at Whole Foods. Soaking them in water will make them less crunchy and more palatable for use in salads. Since opening in 2002, the Pacific Northwest’s Seastar Restaurant & Raw Bar has become a favorite spot for oysters, chilled prawns, sushi and seaweed. Chef John Howie’s classic preparations complement the seasonal dishes. 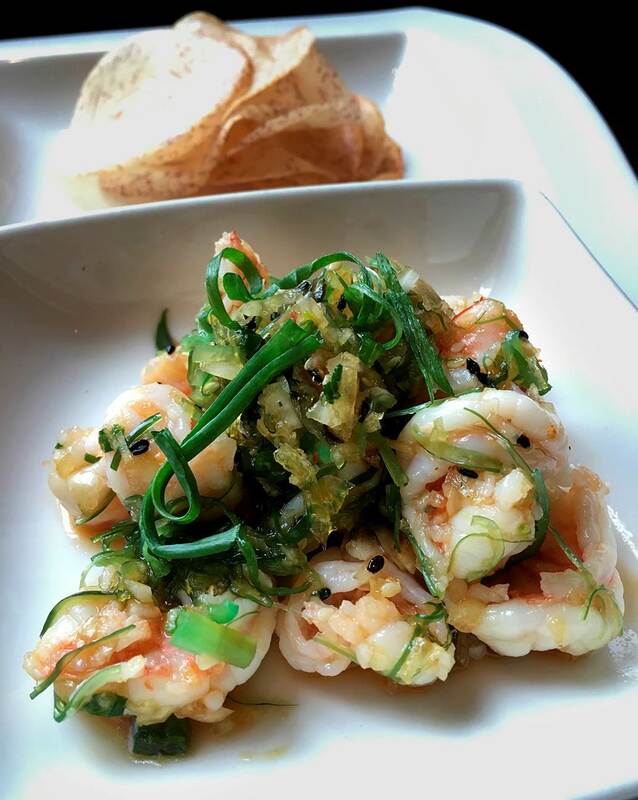 Try this Shrimp Poke with Wakame for a light but filling appetizer. Mix together all the ingredients and keep refrigerated until needed. Mix together the sugar and soy until dissolved, add the chili and sesame oil and hold. Mix together all the other ingredients, keep refrigerated until needed. Dress the dry ingredients, add and toss until well coated. Place the shrimp poke in a square bowl or glass plate, place the green onions over the top of the poke. Garnish the side with taro root chips. Serve. At the Grand Hyatt New York, one of Chef de Cuisine Daron Lee’s favorite brunch items is the Pork Belly Ramen. 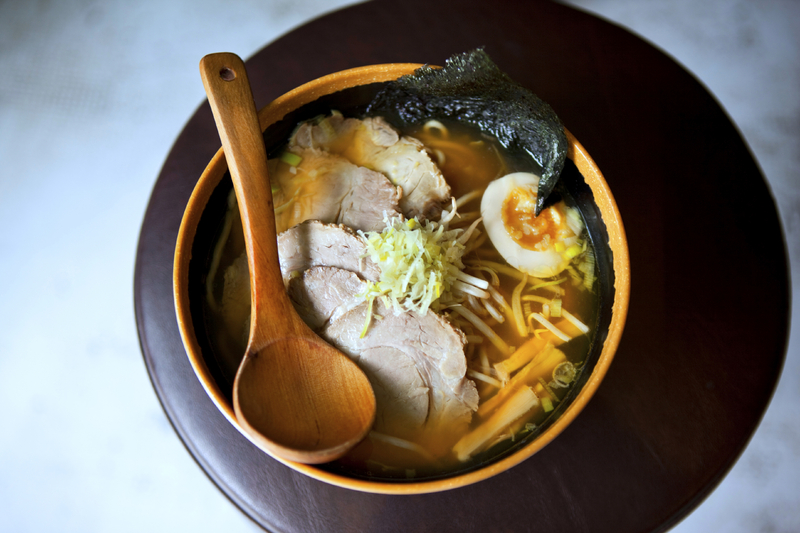 He serves a bowl of al dente ramen with beer-braised pork belly, a “six minute” egg and a refreshing chicken consommé with a side of crispy seaweed. The seaweed enhances the dish by bringing a savory umami element that will warm your soul. Rub the pork belly on all sides with 2 tablespoons of kosher salt and let it marinate overnight. The next day, in a large roasting pan, add onions and garlic and sauté in olive oil for a couple minutes, then add the rest of the vegetables and sauté for another 5 minutes. Place the belly on top of the vegetables, then deglaze with beer and bring to a boil. Add enough water to cover the pork belly entirely. Add spices and remaining kosher salt, cover with parchment paper and cover the entire top of the roasting pan with a lid or aluminum foil, turn the heat down to barely a simmer and braise for 5-6 hours until the pork is very tender. Remove pork very gently from liquid with a wide flat spatula and place on sheet tray with parchment paper and let cool at room temperature. Strain cooking liquid and reduce to one-third the original volume, and reserve for another use. When pork is cool enough to handle, place the belly back onto the parchment paper lined sheet tray skin side up, place another parchment paper on top of skin and place a sheet tray on top. Press with a heavy object, such as a gallon of milk, overnight. The next day, remove pressed pork and cut pork into desired portions and cut into thin slices. Warm it up gently in the oven or on a warm sauté pan. Place the pork belly over fresh ramen noodles. Garnish with a soft-boiled egg, fresh mushrooms, sliced scallions and roasted seaweed.